It’s no secret — social media has invaded every aspect of our lives and changed the marketing landscape forever. 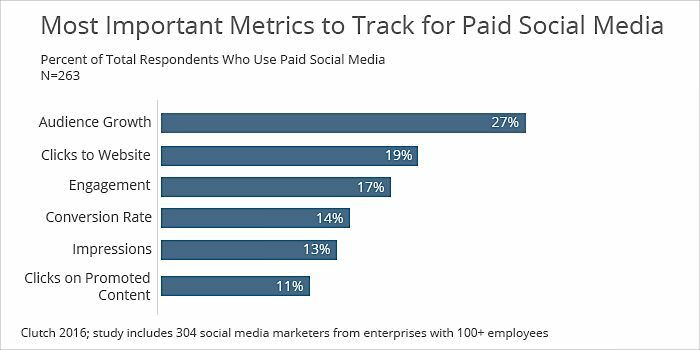 Yet despite this, many B2B marketers remain skeptical of social media’s effectiveness as a lead generation tool. Maybe they believe it’s difficult to ascertain metrics for their marketing efforts, maybe they don’t know how to put together a solid strategy, or maybe they’re just unsure about how to generate sales on a platform where posting funny pictures of cats is popular. Too often, B2B marketers recognize the importance of social media in the B2C realm but don’t see it as a viable lead generation channel in their particular space or industry. In fact, a recent study revealed that more than 70% of B2B marketers were disappointed with the ROI of social media for goals like increasing brand awareness and generating leads. Needless to say, this reluctance is valid; in a world where ROI and revenue run the show, marketers have no time or resources to spend on channels that don’t perform. 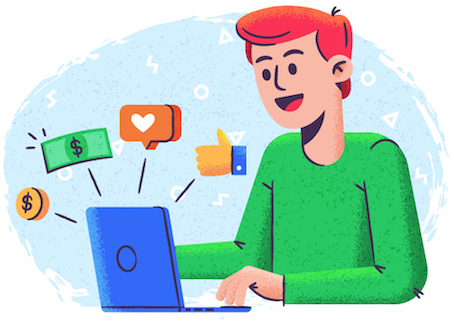 But what if we told you that, with just a few tweaks of your existing strategy, you could improve your social media ROI and start generating better leads? I’m guessing we could probably get you on board. In today’s post we ask you to put aside your hesitations and join us as we teach you how to turn your social media channels into a quality lead source. Now that you’re convinced, let’s get started! Here are some of the best ways to start generating leads from social media. Perhaps the simplest way to generate leads on social media is to optimize your business page profiles. By this we mean include a compelling call-to-action, make your contact information accessible, link to your website, and make your value proposition obvious. This may seem like a no-brainer but think about it: as with cold calls or landing pages, if people don’t know what you want them to do or how to reach your business, they’ll never become a lead. Let’s break this down using the big three platforms for B2B: Facebook, LinkedIn, and Twitter. Business Name: While this will typically be an easy choice, it’s important to remember to go by the name that your customers and prospects will most associate with your business. Not only does this make sense for consistency and brand recognition reasons, but this name can impact whether or not your Facebook business page shows up in Google search results. So be sure that your business name and the URL match. 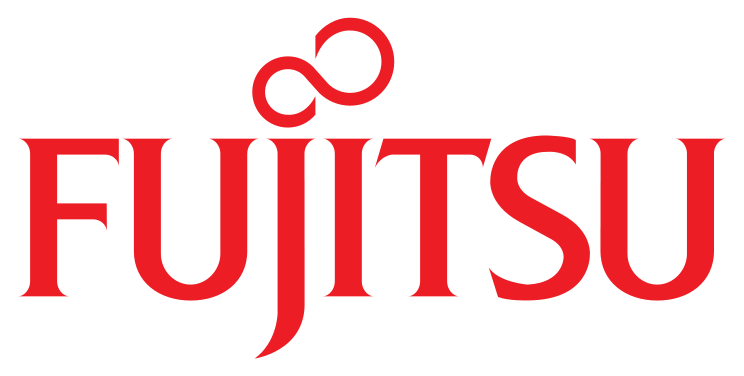 For most companies this will be your business’s name. If you include special characters, hyphens, or a variation of your company name, this page will be much harder for customers and prospects to find. Call-to-Action Button: Facebook gives business pages the option to include a CTA button. The seven options include Book Now, Contact Us, Use App, Play Game, Shop Now, Sign Up, and Watch Video. The best part? You can send the link to a page on your business website. 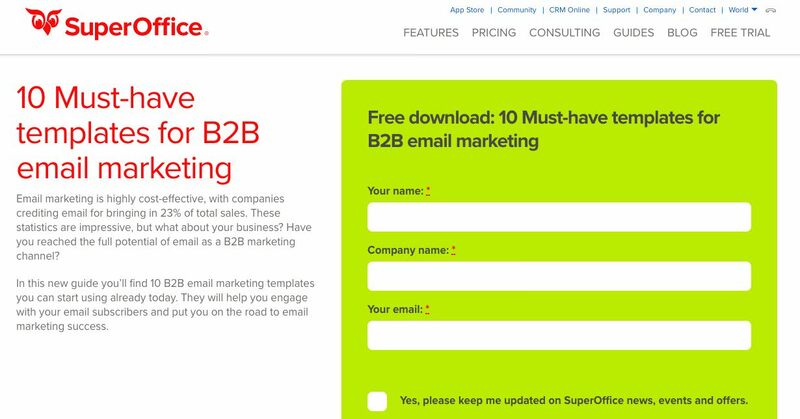 We recommend sending visitors to a free trial form, a form to contact sales, or some other sort of clear offer. 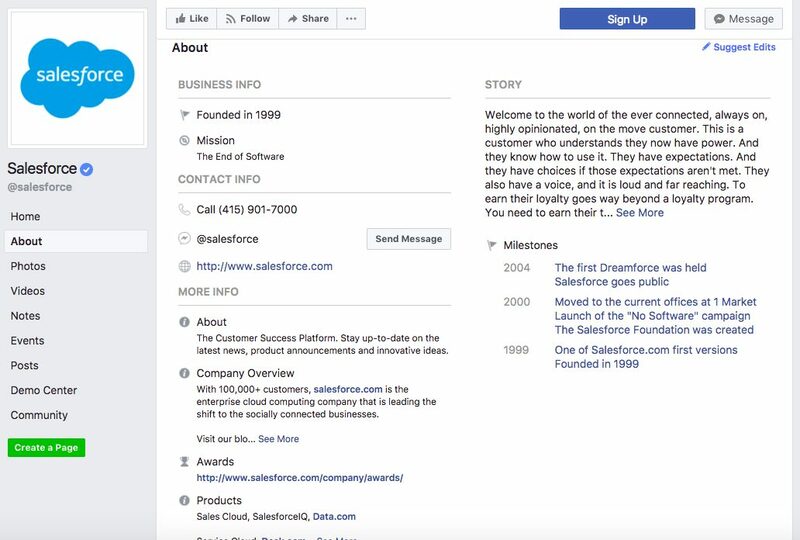 About Page: Facebook provides businesses a place to list their address, phone number, hours of operation, a brief summary of their business, etc. Be sure to complete all this information. Not only is it helpful to visitors, but it also boosts the pages SEO value. 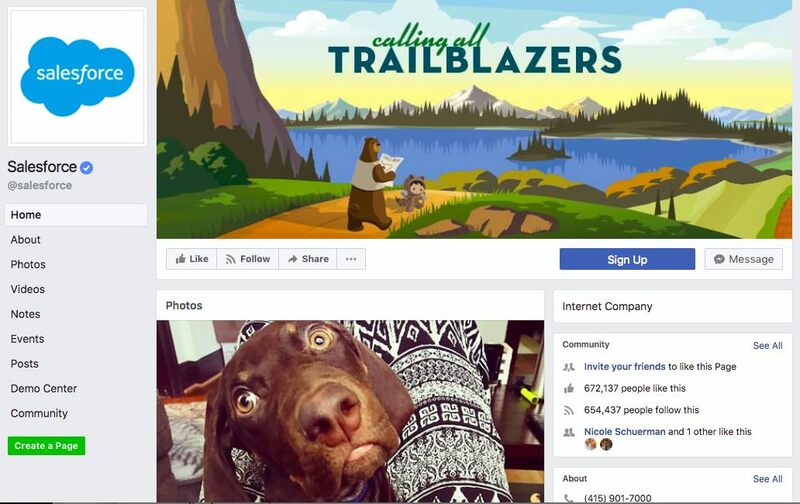 Check out this business Facebook page from Salesforce. Their business name and vanity URL are the name of their company, they have included a “Sign Up” CTA, and their “About” page is complete. Profile/Header Images: For most B2B organizations, your Twitter profile image should be some variation of your logo — consider color, size, and how it will look on different devices. Your image, more than your handle, is what your followers will come to recognize you for, so it’s important to keep it consistent. Your header image, on the other hand, should be changed fairly regularly to match your marketing initiatives. Running an important event? Holding a webinar? Promoting a new product? This should be reflected in your banner image. Pinned Tweet: Twitter allows you to pin important tweets to the top of your feed so they don’t get lost among your other tweets. If your goal is lead generation, this tweet should contain a CTA and a link back to your business site. Consider pinning a tweet about gated content, a free trial, or some sort of discount. Open Your DMs: Make sure your direct messages are open to the public. That way, if customers or prospects have questions, they can come to you directly. Prepare responses to common questions ahead of time. Hashtags: Studies show that tweets with hashtags generate 2x the engagement as tweets without. But be careful because too many hashtags can look spammy. Your marketing team should develop a strategy around which hashtags to use and how often. Soon your followers, customers, and prospects will catch on and use these hashtags, too. Take a look at ZoomInfo‘s Twitter account below. 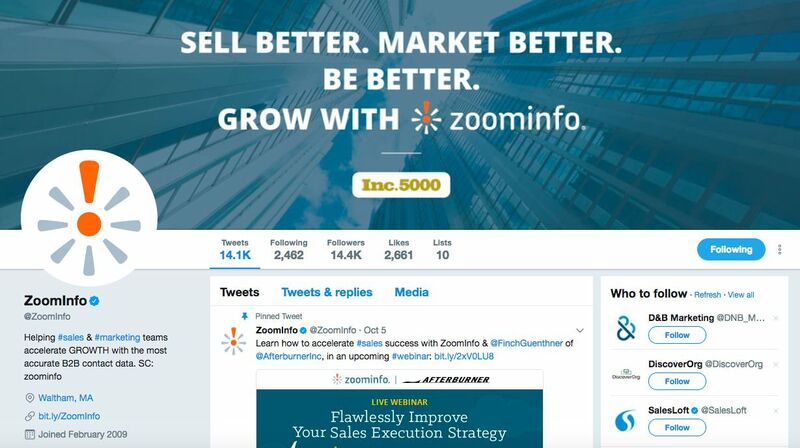 The bio is short and to the point, there is a link back to the ZoomInfo business site, the header image showcases a recent Inc. 5000 award, and the pinned tweet uses a hashtag and promotes an upcoming webinar. Images: As with both Facebook and Twitter, your profile and banner images can have a big impact on the success of your page. Make your profile image some recognizable variation of your company logo and be sure to mirror your header image with current marketing initiatives. SEO: LinkedIn company profiles are often indexed by search engines. Be sure that the first few lines of your company description are compelling and contain your target keywords, as this text will often be used as Google’s preview text. 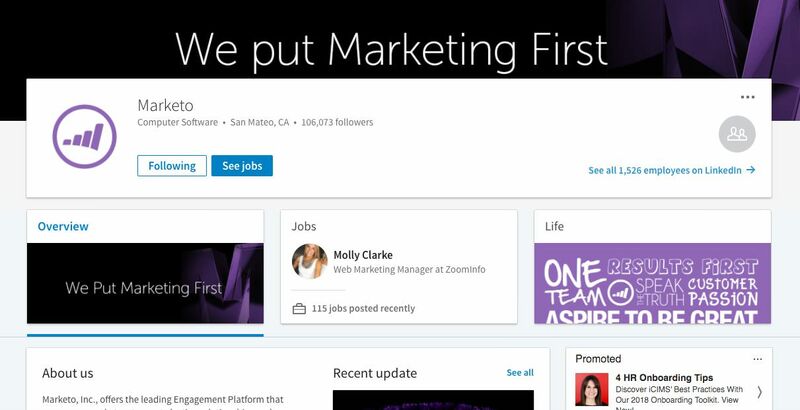 LinkedIn users can browse the platform using keywords, meaning that this optimization will help get more eyes on your profile within the platform. Showcase Pages: LinkedIn offers the ability to create separate pages to showcase products, brands or initiatives. These pages live at the top of your profile in prime page real estate. Use these to help out with your lead generation efforts. Here’s Marketo’s LinkedIn page. Both their header image and profile image are clear, recognizable and on-brand. The company also employs showcase pages and has an optimized description. Social listening is the process of monitoring your customers or prospects on social media to gain valuable brand and industry insights. Set up Google Alerts: Once you’ve set this up, Google will send you a notification via e-mail every time your company, brand, or any other keywords you want to track are mentioned on the web. Here’s how you create a Google Alert. Monitor hashtags and keywords: Most of us are familiar with the power of hashtags, but as marketers, we mainly use them to expand the reach of our own messages. Instead, research the hashtags that your customers are using. For example, a conferencing software might track the use of #meeting, #videoconference or similar keywords. When prospects take to social media to research or ask questions, they can easily look up any given topic via hashtag. Invest in a social media management tool: Although it’s not necessary to purchase a social media tool, for big companies or initiatives it can be very helpful. Most of these tools have scheduling capabilities, hashtag tracking, competitor analysis, and much more. Join message boards: Many social media platforms have forums, groups or message board capabilities. This can be helpful for B2B marketers — especially on LinkedIn — to hear what customers and prospects are saying. These groups are often broken up by industry, job function, software users, and much more. Join in the conversations, answer questions, and offer your product as a valuable solution (but don’t be too salesy). Follow your competitors: Keep an eye on the competition — not just to see what they’re doing, but also to see what complaints their customers have. This can give you ideas for your own content, campaigns, and much more. For a more comprehensive look at social listening, check out the following article: The B2B Marketer’s Guide to Social Listening. Although social media is typically a marketing responsibility, that doesn’t mean your sales team can’t or shouldn’t get involved. 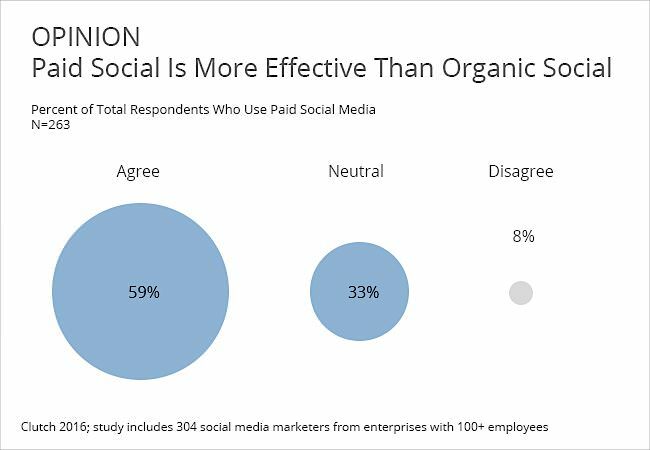 In fact, 90% of top-performing sales people now use social media as part of their selling strategy (compared to just 70% of sales people overall). The extent to which you involve your sales team is entirely up to you and your company, but we suggest starting small. Remind your reps to monitor certain message boards, answer inquiries left on your business profiles, and join in on customer conversations. Provide the support your reps need in the form of guidance and, of course, in the form of the content they need with which to convert prospects into leads. It’s important to note that not all social platforms were created equally. A platform that works for one company might not work for yours. Be sure to test them all, analyze your results, and tailor your social selling strategy accordingly. Check out these B2B Sales Rep’s Guides to see a breakdown on the three biggest platforms (Facebook, Twitter and LinkedIn). Social media is a perfect outlet for content marketing. Unlike traditional marketing channels, social media allows for two-way conversations with customers and prospects. But if you don’t gate your content, you have no way to collect leads. If you’re not familiar with the term, gated content is any type of content that exists behind a form that requires visitors to provide their contact information in exchange for your resource. Increased leads: If you don’t gate your content, you’re essentially giving away your valuable resources for free and hoping that the reader appreciates it enough to come back and fill out a form. By requiring site visitors to give you their e-mail address, you’re almost guaranteeing more leads for your company. Increased nurture opportunities: Just because someone reads your content doesn’t necessarily mean they’re ready to buy your product. Rather than crossing off this type of lead, add them to your e-mail lists and nurture them until they’re ready to make a purchase. Lower lead quality: As previously mentioned, a lead that comes from gated content isn’t always ready to take the plunge and make a purchase. It can be frustrating for sales reps to receive an influx of leads who don’t want to buy. Lower readership: Publicly available content will receive more visits and reads than gated content. If your organization prioritizes brand awareness, visits or reads, gated content might not be the tactic for you. As with most marketing tactics, the key to successfully using gated content is to find a good balance. Be sure to serve your followers a good mix of gated and ungated content. To get started, analyze your customers and prospects to compile buyer personas. 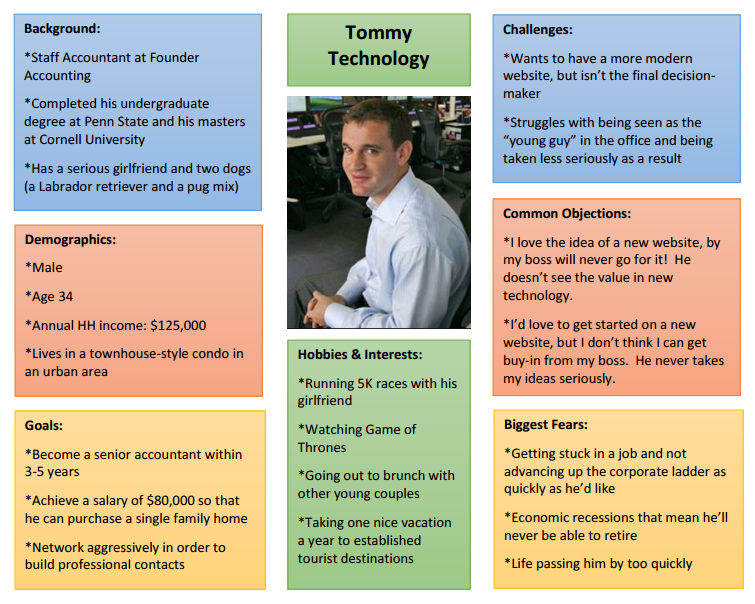 If you’re not familiar, buyer personas are detailed profiles of your target customers. Think about who your best customers are and what traits they share. For example, do they have a specific job title, work in a particular industry or come from companies of a certain size? Are they a specific age bracket or gender? Do they have children or disposable income? Once you’ve identified your buyer personas, create highly specific content, offers or promotions that target these buyers accordingly. The more specific you get, the more success you’ll have. For example: If you have three buyer personas — a marketing specialist, a marketing manager, and a VP of marketing— run three different ads targeting their specific pain points, preferences, and buying habits. 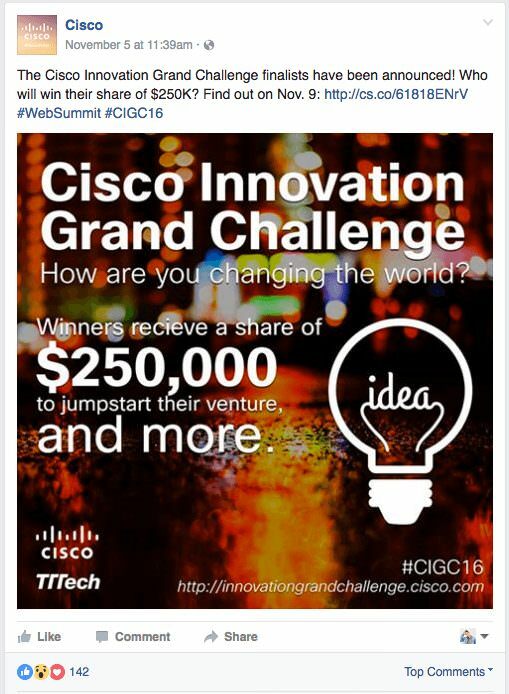 Social media contests are a great way to expand reach, increase brand awareness and, of course, generate leads. For lead generation, we recommend running a sweepstakes or giveaway that can only be entered once a prospect provides their contact information. Remember to be super targeted with the paid promotion of your contest. It can be tempting to advertise a large audience because, after all, the more entrants the better, right? Wrong. Think about it: if you generate thousands of leads but none of them are sales qualified, your contest will be a flop. Only target people you feel may have a genuine interest in your product. You can also limit entrants by choosing a prize that only your target audience would want to win. For example, you may get more entrants by giving a way an iPad or a cruise, but if you’re targeting sales reps, you may generate more qualified leads by giving away tickets and airfare to a reputable sales conference. This tactic is pretty straight forward: simply offer a freemium version of your product and promote it using social media. Although a free trial tends to generate leads on its own, social media can expand the reach of your campaigns and amplify your results. To see the most success with this approach, you must offer features that allow users to see the benefits of the product without offering the entire set of features. For B2B companies, this approach is most successful when using LinkedIn, where professionals are accustomed to seeing overt advertisements and are actively looking for products and services. While there are many, many ways to generate leads using social media, the tactics listed above have proven to be most successful for B2B organizations. Remember to always stay targeted, keep your buyers in mind, and only promote content and offers that truly hold value. Molly Clarke is the Web Marketing Manager at ZoomInfo, which offers the most accurate and actionable market intelligence to help organizations accelerate growth and profitability. The continuously updated database enables sales and marketing teams to execute more effective marketing campaigns and improve lead generation efforts.